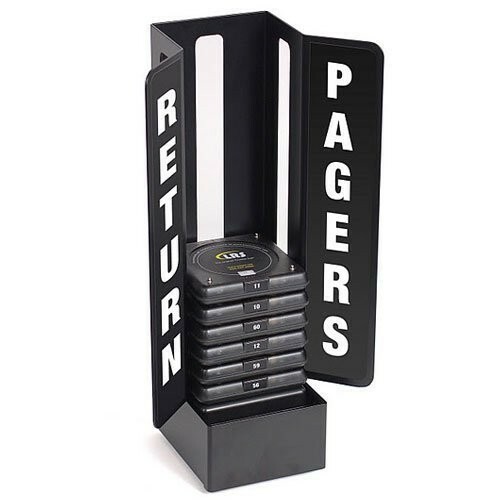 Make it easy for your customers to return their pagers with our attractive metal coaster holder. Comes with a charging base and can hold up to 15 coaster pagers. Includes a 15 Coaster pager charger. 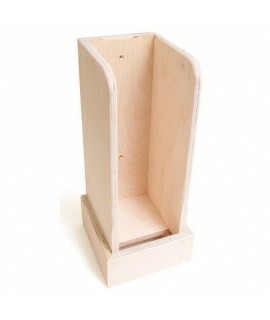 Our metal coaster holder provides an attractive receptacle where guests can return their pagers. With a sleek and stylish design, the coaster holder is constructed of steel for industrial strength and durability. The unit has a smooth, black, powder-coated finish to prevent chipping and to make it easy to clean. 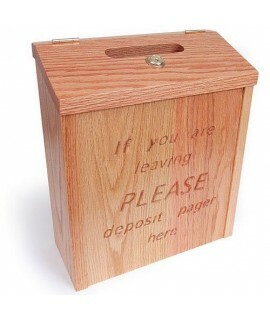 The holder is also designed with rubber feet that allow it to be set firmly on virtually any flat surface. 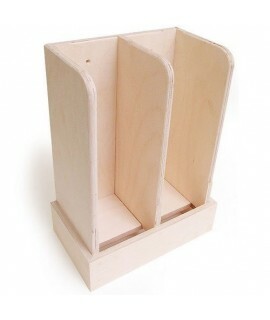 Our metal coaster holder has the capacity to hold one charger base and up to 15 coaster pagers. The metal coaster holder includes a pre-installed 15 coaster charger. All you have to do is plug it in. Includes a 15 Coaster Call charger. Holds up to 15 Coaster Call pagers. Dimensions: 8.25"w x 15"h x 5"d.